This week was another slow one due to both weather issues and the holiday on Wednesday. 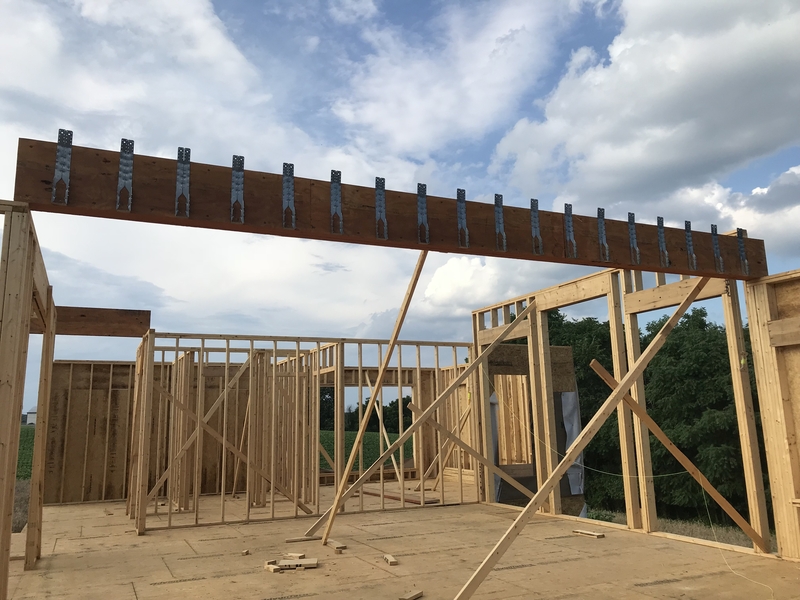 Day 84 (Monday, 07/02/18): Today they secured some beams in a few places and started putting up second story floor trusses. 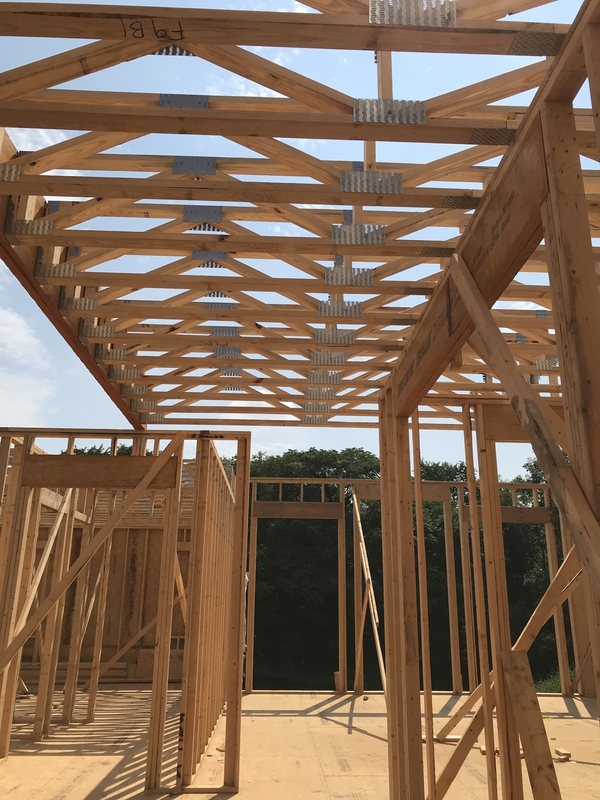 They had to send a few of the floor trusses back because they weren’t manufactured quite right. It was so incredibly hot today! 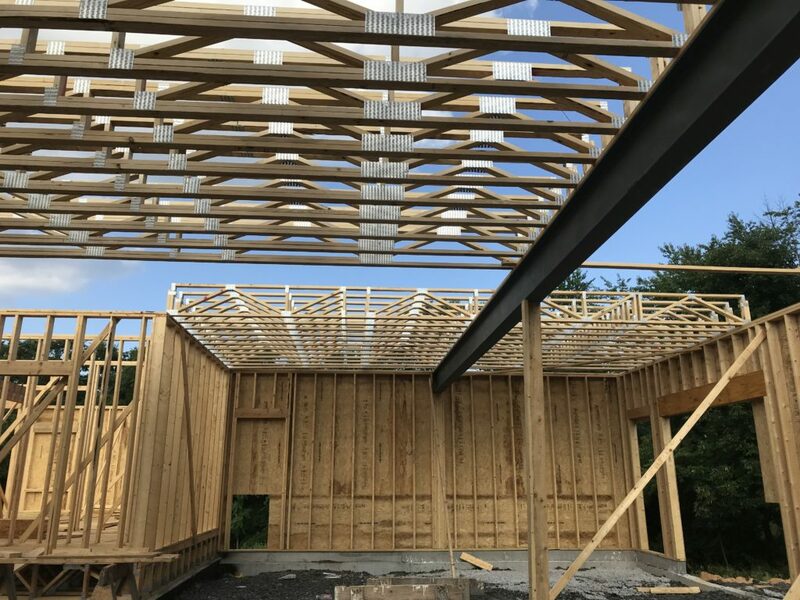 Trusses can be seen over the garage in the two pictures below. 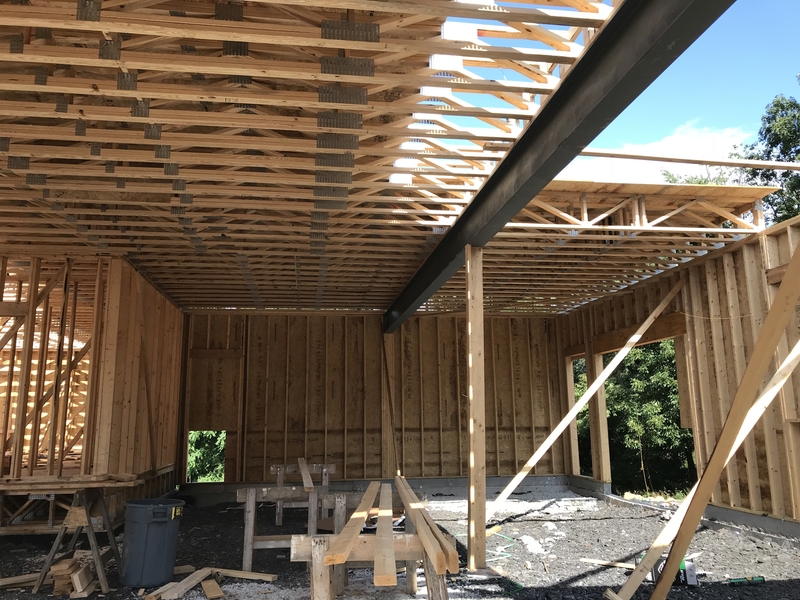 In the next picture, you can see the beam spanning the area between the kitchen and the great room. 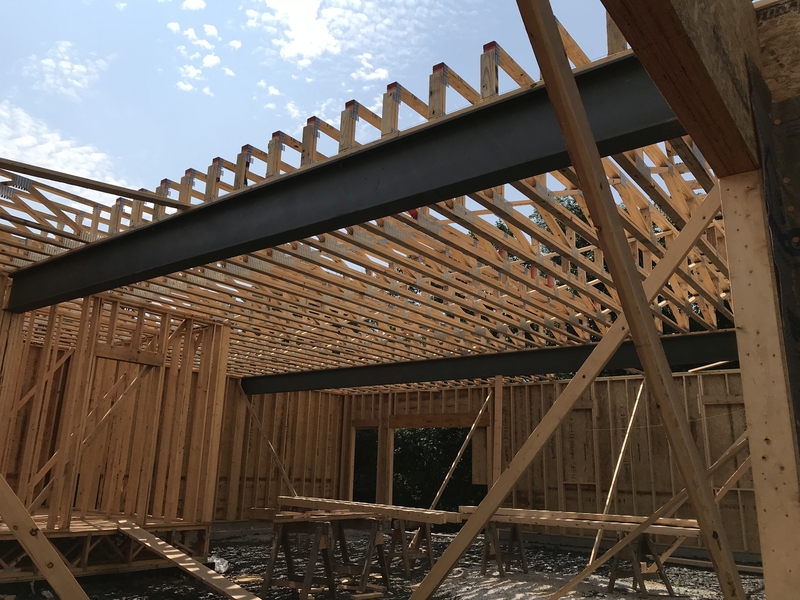 Below, the beam over the staircase was placed as well as the trusses in the office. Day 85 (Tuesday 07/03/18): Another hot day today, with “feels-like” temperatures in the 100’s. The guys only worked a few hours in the morning, putting more floor trusses in place. 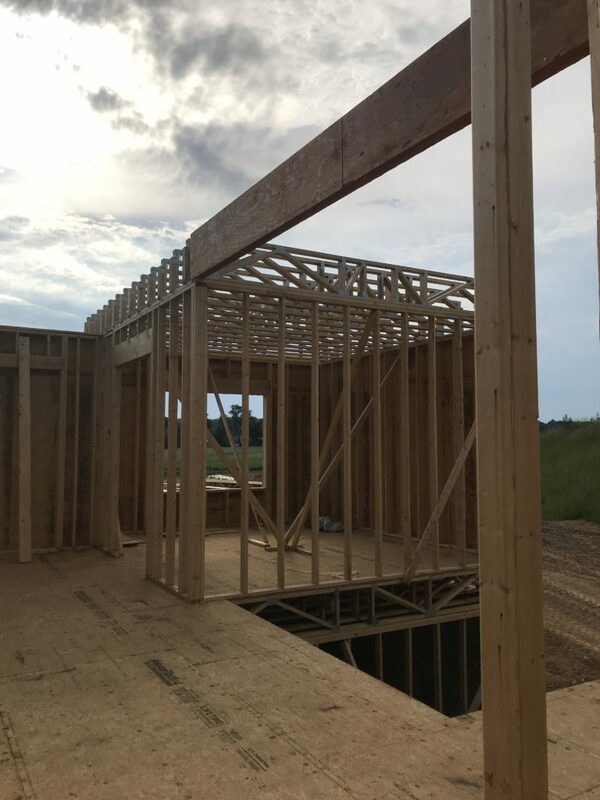 As you can see in the photo below, the garage is pretty much finished with trusses. 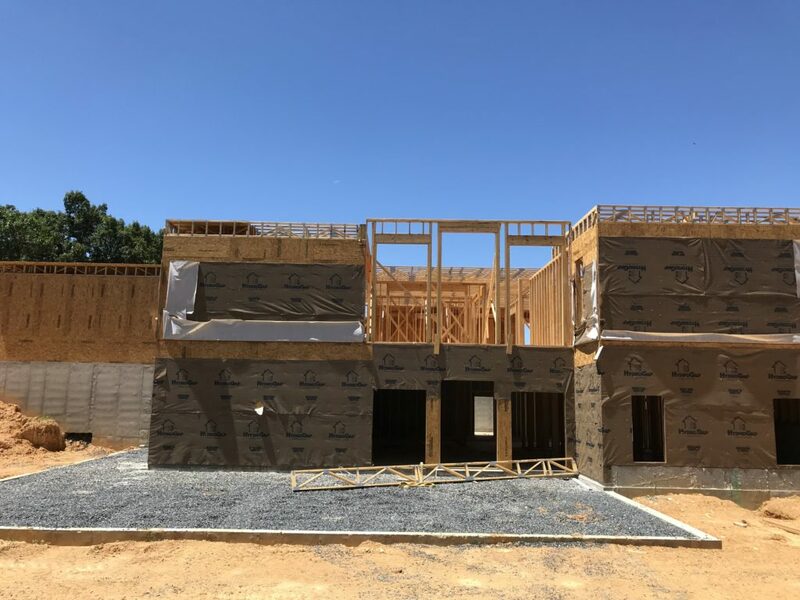 They also added trusses over the dining room and main hallway, which is pictured below. Day 86 (Wednesday 07/04/18): No work! Happy Independence Day!! 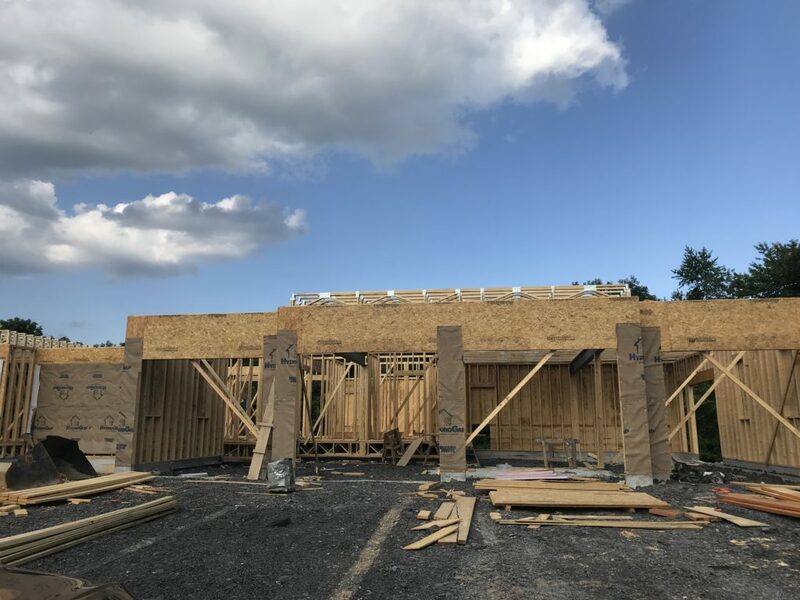 Day 87 (Thursday 07/05/28): Trusses were completed and they started laying the plywood floor of the second floor, mostly over the garage and a little over the kitchen area. This space on the second story will house the master suite, laundry room, and exercise room. 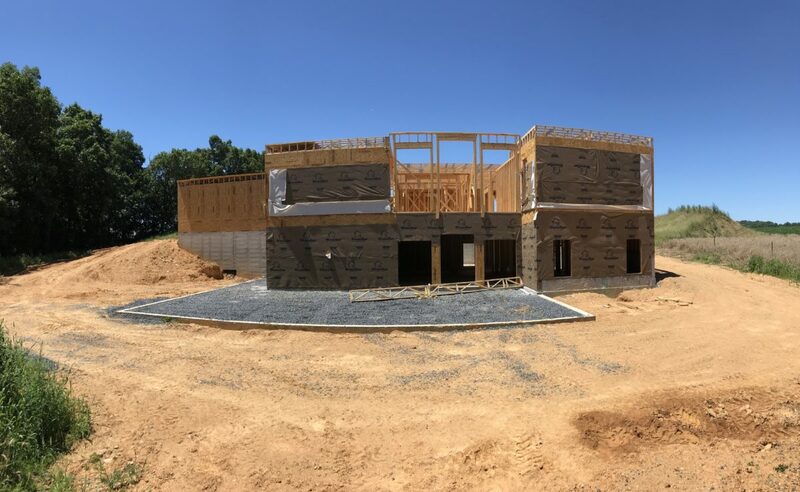 You can just see in the photo below, the start of the floor above the kitchen (master bedroom on the second story). Day 88 (Friday 07/06/18): It rained this morning so no work today, either! I didn’t have a chance to go up onto (what’s started of) the second floor yet, but I look forward to climbing up there next week and checking out the view! Thanks for checking up on our progress! 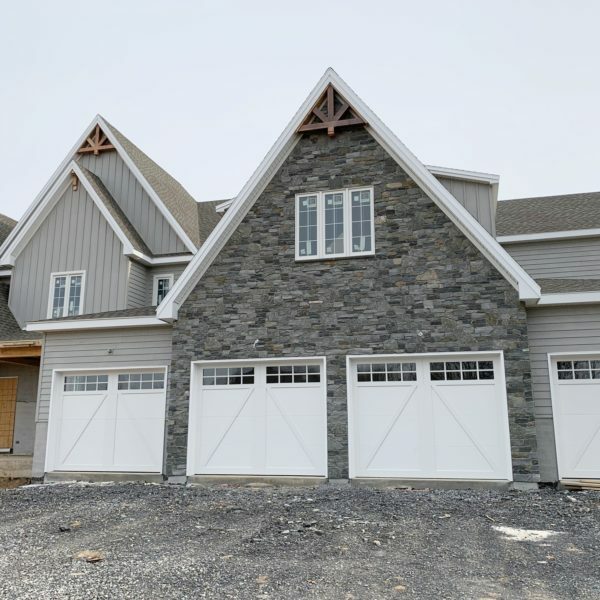 You can see other posts on our Home Building section. I update every week, so long as we’re actually making progress! Have a happy week!